A California developer pursuing ambitious projects at Canyons Village as well as along Main Street has filed paperwork seeking federal trademarks for the terms Arts District Park City and Art District Park City, applications that will likely draw attention at City Hall as the municipal government pursues an unrelated arts project. Columbus Pacific Properties, Ltd. filed applications to the U.S. Patent and Trademark Office for the two trademarks on July 10. It was about the same time as City Hall announced its intention to create what it calls an Arts & Culture District. Park City officials envision a district in Bonanza Park anchored by the Sundance Institute and the Kimball Art Center. The idea hinges on a planned $19.5 million City Hall buyout of 5.25 acres. The similarity between the names involved in the Columbus Pacific Properties trademark applications and the Arts & Culture District billed by City Hall has the potential to draw Park City leaders into another dispute about trademarks involving the name of the city a year after a highly charged controversy centered on Park City. 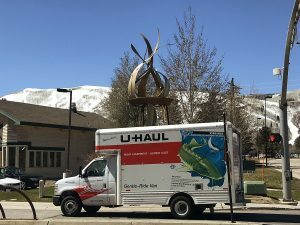 Columbus Pacific Properties in recent years acquired a portfolio of Park City-area properties that includes the onetime Kimball Art Center location along Main Street and Apex Residences at Canyons Village. Rick Margolis, a co-principal and a founder of Columbus Pacific Properties, said in an interview the firm sees an opportunity to develop an arts district and has been using the names since late 2016, months before Park City made the announcement regarding the Arts & Culture District. The Patent and Trademark Office paperwork shows Margolis signed the submittals on June 30, prior to the City Hall announcement on July 7. The Patent and Trademark Office shows July 10 as the filing date, though. The proximity in the dates of the City Hall announcement and the Columbus Pacific Properties filing is a coincidence, Margolis said. Were a big believer in the arts. We havent seen a lot of arts development, Margolis also said. 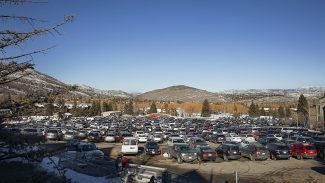 Margolis said Columbus Pacific Properties intends to acquire a parcel of land at the base of Canyons Village, now a parking lot, between Westgate Park City Resort & Spa and the Sunrise lift. The firm envisions developing the land as an arts district with outdoor art installations, ice sculptures and virtual-reality features. There would be three buildings, including a condominium-hotel that would operate under the banner of an unnamed luxury brand and retail space. Our use of Park City Arts District is no secret, Margolis said. The trademark applications list goods and services like real estate development, including residences and entertainment venues for activities like music, sports and special events. Diane Foster, the Park City manager, said City Hall retains a law firm to monitor trademark applications that involve the name of the city. Foster said she is unsure whether City Hall will take any action regarding the Columbus Pacific Properties applications. I was surprised. As far as I know, they dont have an arts district in Park City, Foster said. 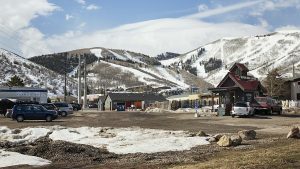 Trademark applications containing the name Park City have been sensitive topics in the past year, since Park City Mountain Resort owner Vail Resorts sought a trademark for name Park City as it applies to a mountain resort. 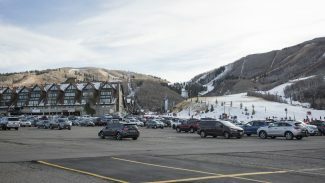 The Colorado firm abandoned the efforts to secure the Park City trademark amid community outcry and opposition from City Hall itself.